During the festive season, it's so easy to get carried away. 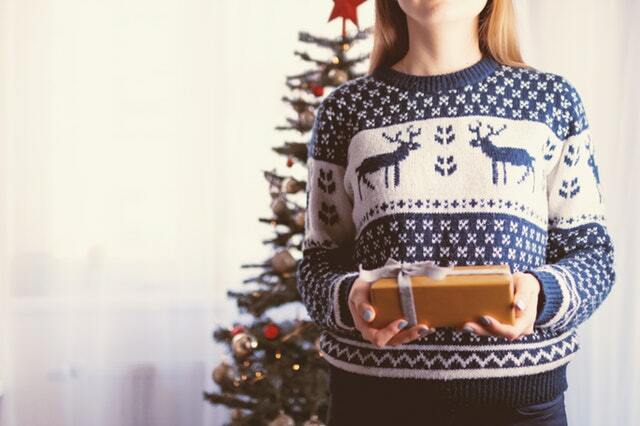 So here's how to avoid overspending this Christmas. You've made the list, you've checked it thrice. You've organised enough Kris Kindles with your various family and friends groups to only have to buy four presents this year. Work has decided to donate to charity (a tenner each) instead of doing office Secret Santa (thank God). So why do you still feel like you'll be out of pocket but the end of the festive season? Because it's very, very, very easy to get carried away. That's why. When you're in the midst of it all, you throw caution to the wind and you just let go. Of the purse strings. How many times have you been tempted for 'just one more' festive cocktail with your work pals only to severely regret it the next day? Only to do it again the week after and the year after that. When have you panicked on Christmas Eve because you MIGHT run out of food on Christmas Day, after your Christmas Day feast is gobbled up, obviously, and bought food and drinks that were never touched? What. A. Waste. This year, let's do things differently. If we do it do together, it can be done. It's the season of goodwill, and I am ALL for being good to yourself, but letting yourself buy that skirt you'll only wear once or going for a full head of highlights when you just need a touch up is not necessary. Say no to the self-treats in December, reevaluate your costs at the end of the month and treat yourself instead in the new year. Everyone needs a pick-me-up in the horror that is January. At this time of year, getting a taxi when you could easily walk (except late at night!) or getting a takeaway instead of cooking is normal behaviour. I get it, it's convenient and makes life run a tiny bit smoother - but not much! Especially not when those Hailo and Just Eat receipts start rolling in. I always do this when it comes to the last week before payday and it scares you into working. Decide on a figure that you'll only try to spend in a week. Let's say it's €100. Write it down in your notebook or notes on your phone. Every time you spend anything, take note of the number and subtract it from the original figure. Note what you're spending money on, too, and you will soon start to be more mindful of where you're hard earned money is going. During Christmas, try not to bring out your card. Paying in cash will help you keep better track, too. Having that one tipple too many is almost expected at Christmastime. You, I and the people behind Drink Aware know that this doesn't have to be the case. Going out for drinks is brilliant fun but not only is it expensive, it's not good for your health when you overdo it. Having a drink of water in between drinks keeps you hydrated, yes, but its main function is to stretch the time out so instead of six drinks, you have a safer number of three. If you know you'll just down the water and get another glass, try having a G&T without the gin. With the garnishes and glass, you'll barely notice the difference. Have you got any other tips to help curb your spending over the silly season? We'd love to hear them in the comments! Is it possible to have a stress-free Christmas? The best Mother's Day gift guide ever!